The Gini index, poverty and access to education. I often say: “I love Economics” and I see this statement causes jaw dropping effects, because it sounds weird. During my experience at the Uopeople I studied the Gini index, that represented one of my favorite subjects, particularly during the courses of “Microeconomics”, “Macroeconomics” and “Principles of Economics”. This index helps to understand social inequalities and the distribution of wealth, it ranges from 0 to 1; specifically, a fair result is in proximity of 0. I checked the situation of my Country and I compared it to others; I even checked the political Government that ruled at that times and I got a general idea of those who increased the inequalities or, in the contrary, performed better. Categories: Articles, University of the People | Tags: #Uopeople, Drew Gilpin Faust, fight poverty, Gini index, inequality, online learning, online studies, poverty, Shai Reshef, Shaireshef, university of the people, university of the people Italia, University of the People Italian students, uopeople comments, uopeople experience, World Economic Forum | Permalink. Many days have passed since my last post, and after considering the Christmas time, the courses at Uopeople going on and my job commitments, you would certainly understand how my life turned out. 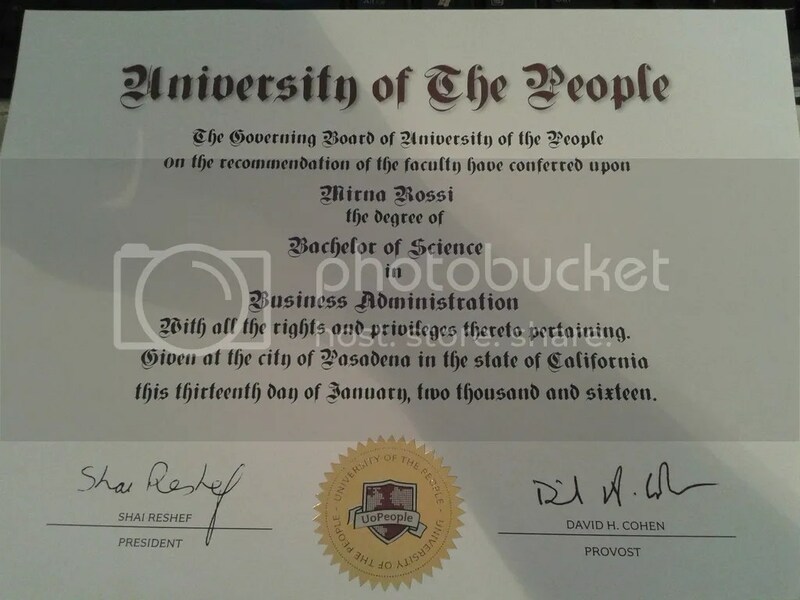 Categories: University of the People | Tags: #mistakes, #Uopeople, cannot control, control, English language university, how to deal with mistakes, lifelong learners, non English native speakers, self learners, self-improvement, study in English, things you can control, time management, uopeople comments | Permalink. Categories: University of the People | Tags: #biocon, #Uopeople, how to raise students' attention, interesting assignment, ravenna pine wood, student stories, uopeople comments, uopeople experience | Permalink.